Flow N Control offers complete water booster pump packages from Motor Controls, Inc. (MCI). The company manufactures high performance booster pumps and related equipment for wastewater treatment and other water control and handling applications. MCI’s water booster pump systems can be found all across the United States and all around the world. Request a quote on MCI water booster pump packages. Contact Flow N Control to learn more. MCI’s water booster pump packages provide everything you need for a complete solution. 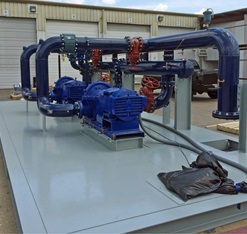 These systems include the pumps, control panels, and everything in between, and are easily tailored to your unique performance and application requirements. 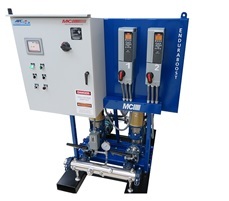 From simple setups to complex, multi-pump systems, MCI can provide the ideal water booster pump package for any facility and any need. We are an authorized manufacturer’s representative for MCI. Our team of experts will help you find the right water booster pump solution for your facility’s needs. Request a quote on a water booster pump package, or contact Flow N Control to discuss your wastewater handling and control application.